Looking to save some cash at La Carezza on retail and services? Here's how. Share your La Carezza Experience on social media. 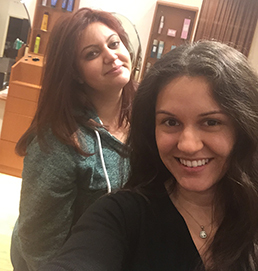 Right before you checkout take a Selfie of your finished product and check into La Carezza via Facebook or tag us on Instagram. Those who participate will receive 10% OFF any retail items! If any existing client refers a new client they'll receive 10% OFF their next service appointment! Make sure your friend lets the front desk know that it was you who referred us. After their service is done you will receive 10% OFF your next appointment! Any single salon service we provide can be purchased in a buy 5 series. If you purchase a 5 series you will receive a 6th one for FREE.